Last edited by Serious News; 07-25-2018 at 12:54 PM. Last edited by Serious News; 01-19-2015 at 07:53 PM. Wow! That's great Pete! We look forward to seeing more pics! Congrats! Phil & his brother did an amazing job. Any pics of the Great Adventure Sutphen? I believe this shot is from 1989. 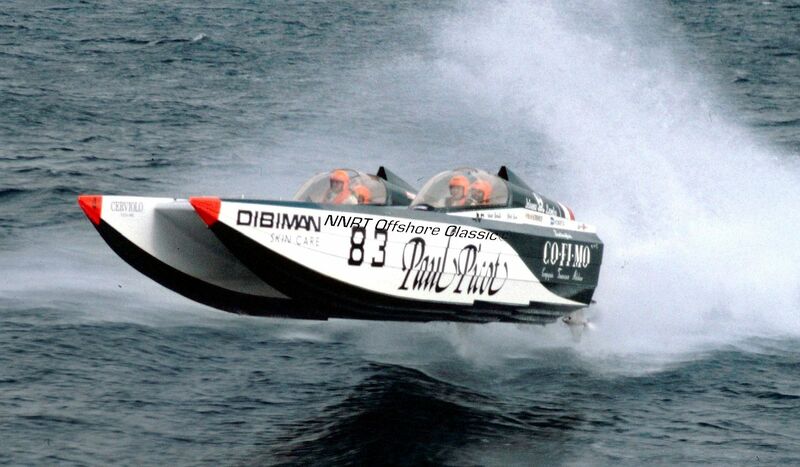 Before that I think Paul raced his mother's 40' CUV diesel boat with surface drives. Last edited by Serious News; 01-20-2015 at 10:11 PM. So far, no idea. Looks as if it's a 30' Chris Cat. Anyone? Last edited by Serious News; 01-21-2015 at 12:49 AM. Thanks Steve ! - some how some of these photos bring back memories ! Glad they are being used and seen - Hi to Meta, Oh, let me ask her a question ! haha ! Last edited by Serious News; 01-20-2015 at 09:24 PM. Last edited by Serious News; 01-20-2015 at 09:33 PM. 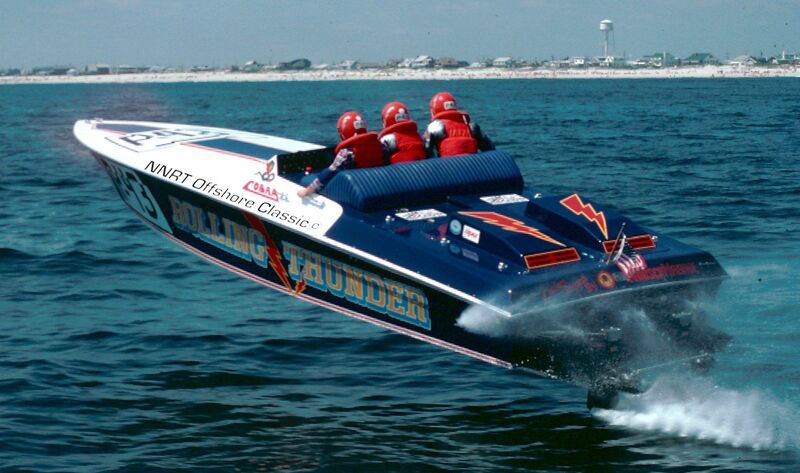 John D'Elia Jr. and Brad Cox in his 24' Skater cat. 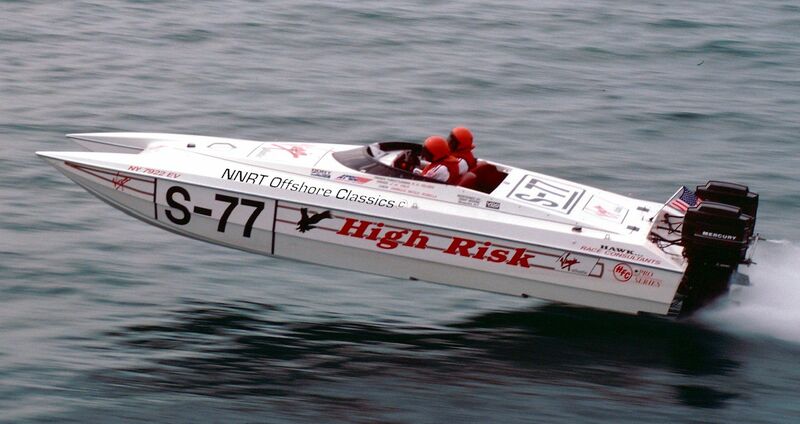 Won the Stock A Key West World Championship in 1985. Last edited by Serious News; 01-20-2015 at 09:42 PM. Well, this was a tough one to find out about. 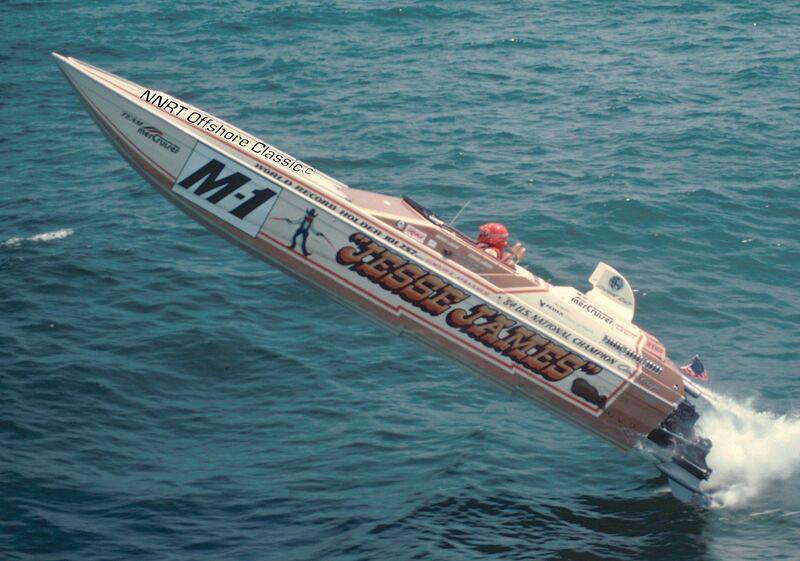 We believe, after research, this was built in 1974, hull #7, of the game changing Cigarette 35 raceboats. It was originally owned by the same people who owned RIO, and later sold to Art Swift and renamed Daddy Cool. I believe it was owned by BYRDMAN on here at one time and was for sale back in 2008. A picture from the Miami Press way back. Information on the back also. Last edited by Serious News; 01-20-2015 at 11:02 AM. 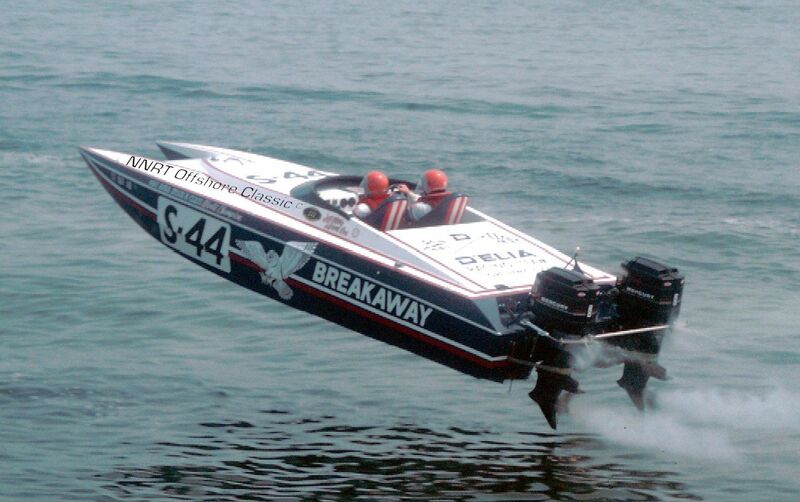 Don't know the year and race, the 38 foot Bertram Flap Jack owned and driven by Howard Quam possibly. I think there were three Flap Jack Bertram's total, and have no idea which one this is. Anyone? 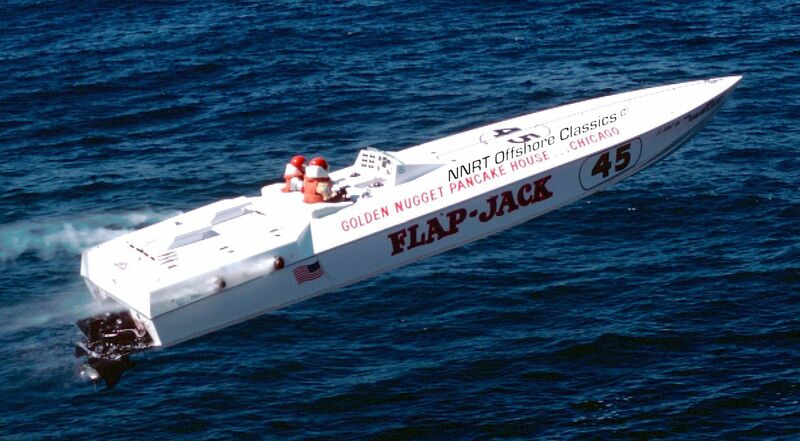 The first one named Flap Jack was formerly owned by Preston Henn and named Bertram 49er. The second was always Flap Jack? The third Flap Jack was the old Copper Kettle? Help!! Last edited by Serious News; 01-20-2015 at 12:32 AM. Need T2X here. 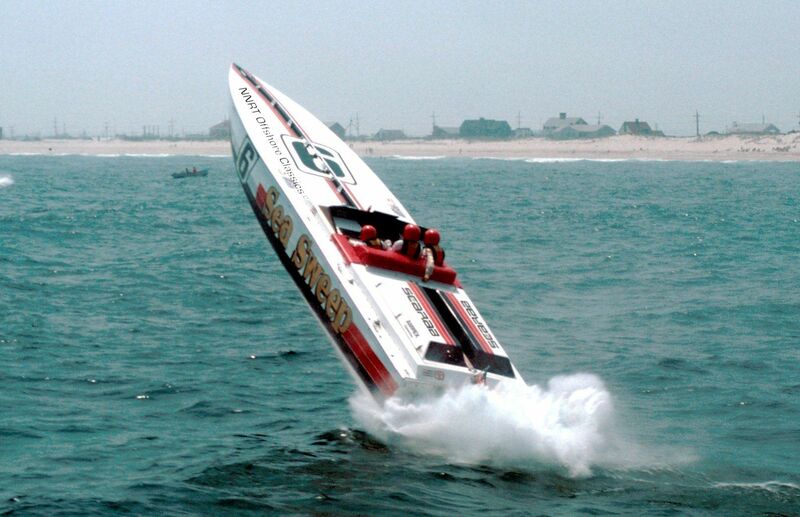 This is, I believe, the 35' Conquest Cat that was involved in the fatal accident. Last edited by Serious News; 01-20-2015 at 10:14 PM. Last edited by Serious News; 01-20-2015 at 10:49 PM. Unless we are mistaken, that would be Howard Arneson, Chip Saale, and Lorry Azavedo in the first 38' Larry Smith Kaama with Arneson Surface Drives. It would have to be before 1983, because Walter Ragazzi bought it in 1983 and renamed it Hublot. 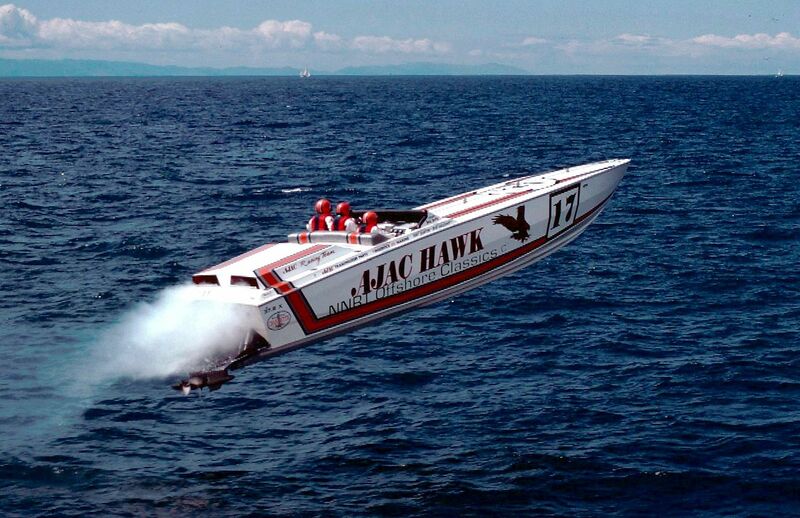 The Sea Sweep boat (boats) were named that after Howard's Pool Sweep he invented and built. He then sold the company and invented the surface drive. I believe he bought this boat in 1978 when his other boat delaminated. Anyone? Last edited by Serious News; 01-20-2015 at 12:09 AM. Last edited by Serious News; 01-20-2015 at 10:05 PM. 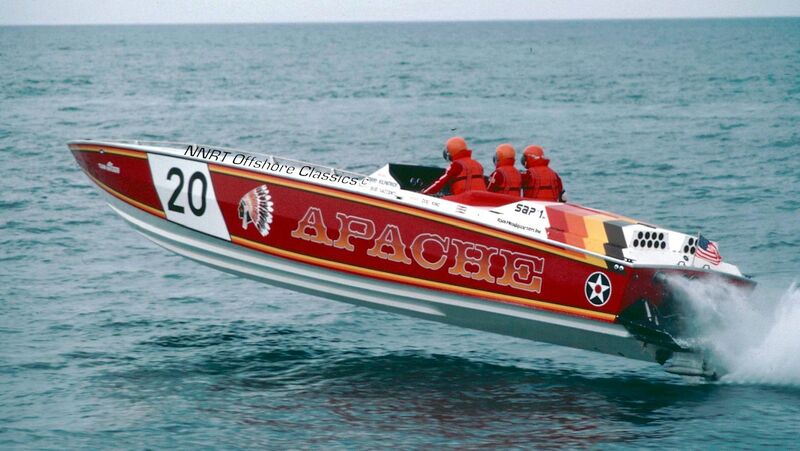 Ahhhh, an interesting boat, a Cigarette named Apache. I'll have to get ahold of Bobby for more first hand information. This should be Bobby Saccenti and Jerry Kilpatrick and ? in the Aronow designed 39' Cigarette Squadron XII. Last edited by Serious News; 01-20-2015 at 09:59 PM. Last edited by Serious News; 01-21-2015 at 12:50 AM.